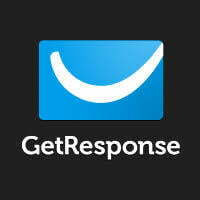 Response Leads Sync extension for Zoho CRM. Connect Zoho CRM & GetResponse (integration). Need to integrate Zoho CRM with GetResponse site? Push your Leads to Zoho CRM with a few clicks! 1.Install the GetResponse Leads Sync extension, from Zoho Marketplace, to your Zoho CRM account. 2.Configure and set up the extension. 3.Map the field dependencies for Zoho CRM and GetResponse. All custom fields are supported. 4.Press Sync Now, or schedule your synchronization.